I love this set! I've been looking for green helenite in a silver setting for years. This set is perfect. Every time I wear it, at least one person comments on how beautiful it is. The color is fantastic and catches the light very well. As a person who experienced the ash falling from Mount St. Helens in 1980, and who visits the Johnston Ridge Observatory when in town, this is a beautiful reminder of just how powerful Mother Earth can be. 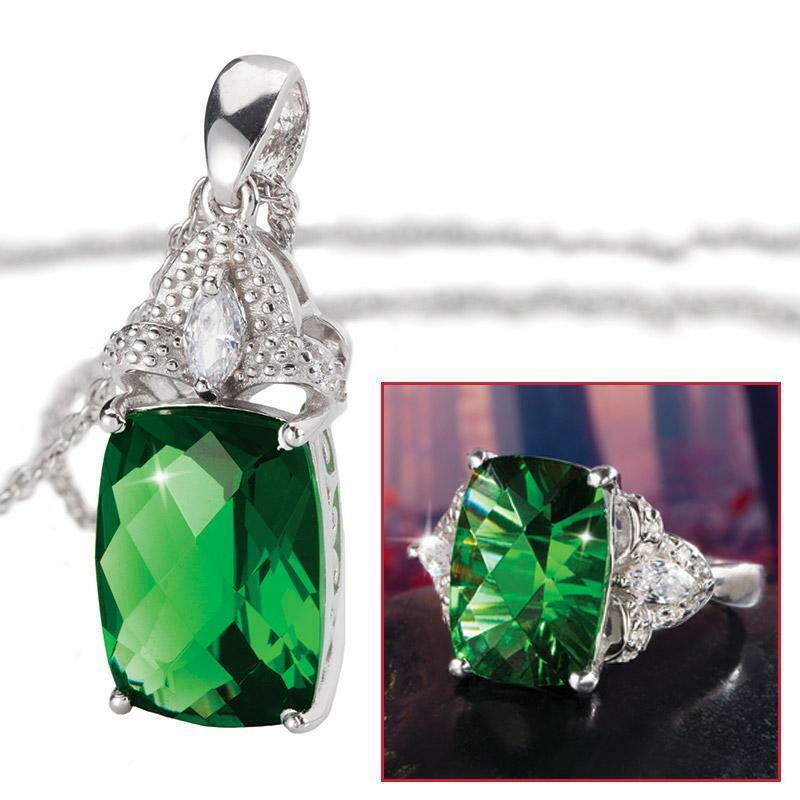 Man and nature collaborate to create a glamorous green ring and pendant set guaranteed to rock her world! 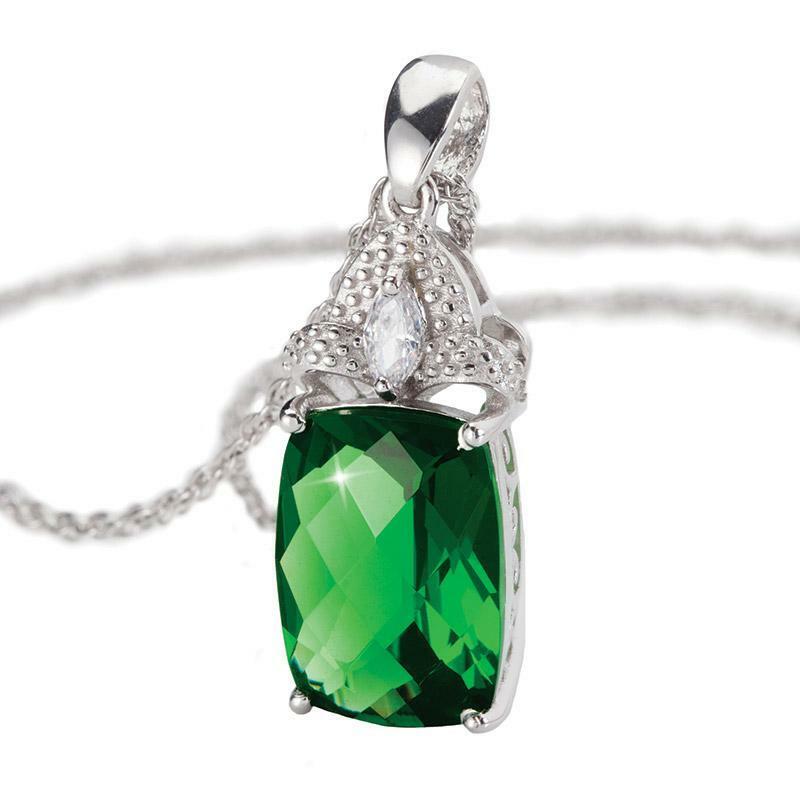 Our new Spirit Lake Helenite Collection reverberates with a remarkable green fire that can become mesmerizing. 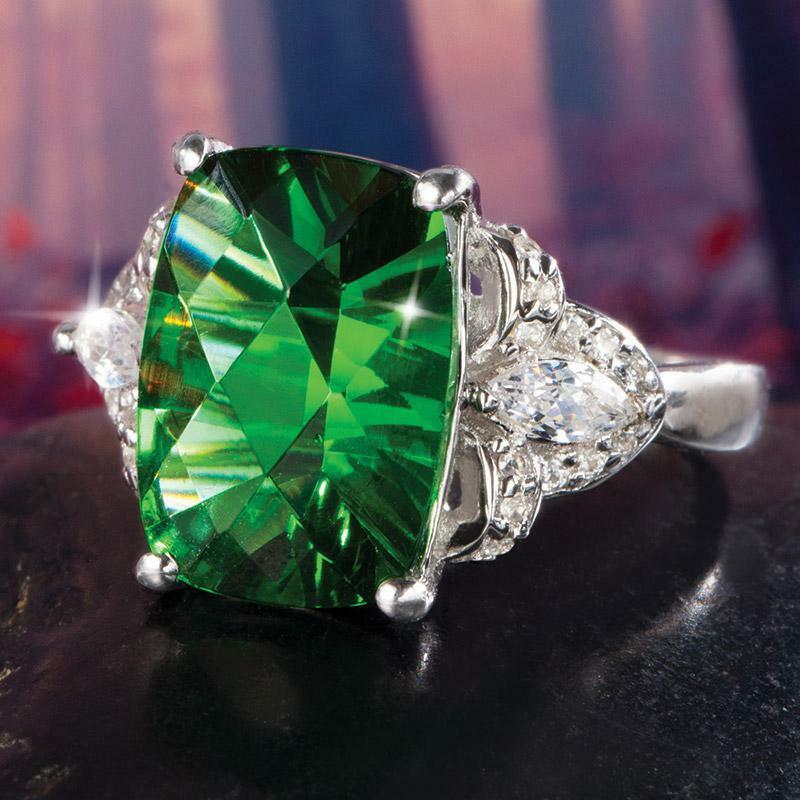 The ring and pendant feature a 4-carat helenite centerpiece that displays a color and clarity that rivals some of history's greatest gems. You can blame the unique, concave cut for the extra brilliance. Expertly polished facets don't let a single ray of light go to waste. And the .925 sterling silver shoulders are loaded with brilliant white, lab-created DiamondAura®. Our Spirit Lake Helenite Collection honors the raw power of nature, and the glorious spirit of rejuvenation.